Hooray for a short week! It's been a while since I've been around these parts for Friday Favorites so here they are, short and sweet! 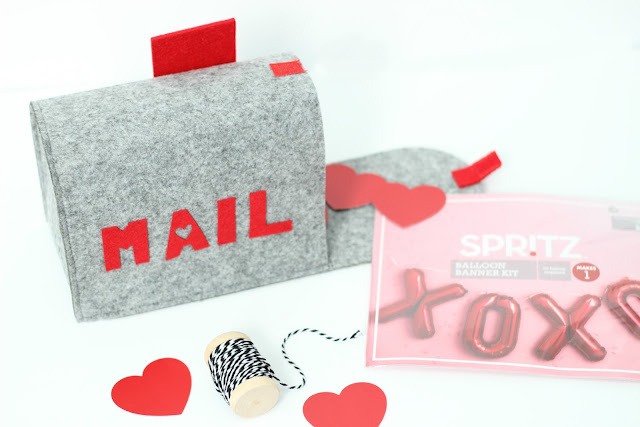 Starting out super basic here, but how cute is that felt mailbox!? I thought it would be fun to use for little Valentine's Day gifts for Rowan in the next few years, as long as it survives beyond next month. He is really into it and loves to pull on the flag up and down. For three bucks, I'm okay with that! TWO. Napa Valley, here we come! Random photo that has nothing to do with Napa except for the wine. Super excited to be planning a trip to San Francisco and Napa Valley in March with some of my favorite blogger friends, Stephanie, Laura, and Natasha! Send any and all recommendations our way! I know I'll be a total wreck leaving Rowan but a ladies weekend and wine are good for the soul. If you're in the market for a comfy top that can be dressed up or down, this Mixed Media Tee is perfection. I love the blouse material at the bottom and on the back, but it still has the comfort level of a knit. 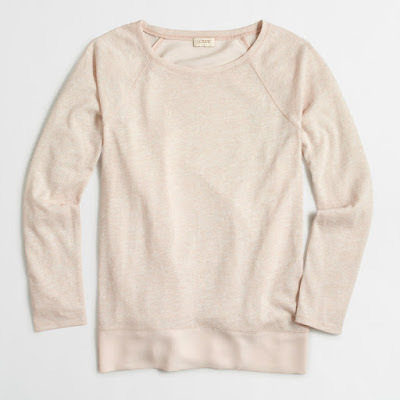 Plus the blush color is on point for Spring! 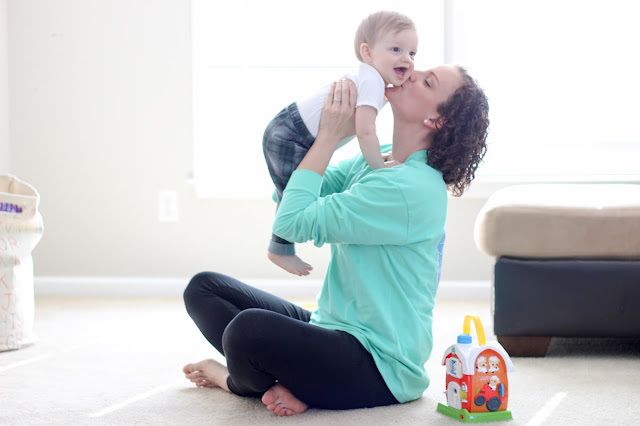 Mamas- what are your favorite first shoes for your babes when they start to walk? I know Stride Rites are great but for the price, but I can't find any that I think are remotely cute. Right now Rowan only has one pair of moccs he fits into so I know he needs something! FIVE. My husband took a good picture! My husband is used to me getting on his case for taking blurry photos so today I'm being a good wife and giving him a shout out for this one! It's one of my favorite pictures to date! I hope you all have a fun weekend! Stay warm! NAPA! So jealous...that is on my list of places to go POST baby skouras! love that sweet pic of you and your little man :). The last picture of yours is too cute! Your husband did a great job taking that one :) Have a good weekend! My son wore nikes as his first shoes. All I say is get some that seem like they have good support. I think it's important during that "wobbly" stage. Sounds like a great weekend with a fun group. You really can't go wrong in Napa. Stride Rite is totally worth it. We also love TOMS and NIKE for Emerson. CANNOT WAIIIIIT!!!! Umm that photo is adorable, well done Steve! As for shoes I love converse, P has a couple of pairs. I think they are the cutest. Check out Journey's they have a really good toddler selection. So exciting to have a girls weekend! I'm jealous! And my husband is notorious for not focusing on ther person in the photo and I can't stand when we are blurry and the tree in the background is in focus. Glad to hear I'm not the only one! You can never go wrong with the Target dollar spot! And a blogger trip to Napa sounds like the best thing ever. Excited for you!! Happy weekend! Check out the Robeez brand for shoes. I've heard they're good for first shoes. Steve's got some photog skills! I love that picture of you and Rowan! Your husband did a great job! My niece and nephew are always wearing little Toms and their mom and dad looove them. so excited for your trip!! !